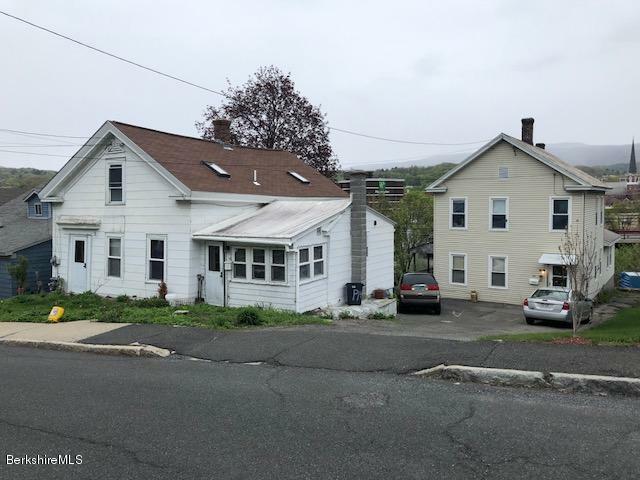 This is a great investment opportunity right over the footbridge from Mass MoCA! Both properties MUST be sold together. 78 Furnace consists of a single family home, 4 bedrooms. Two of the bedrooms have been gutted, re sheet-rocked and have new electrical. Asphalt roof, vinyl windows, skylights and deck off the back. 82 Furnace is a two family with 2 bedrooms up and 3 down. Vinyl windows, slate on main roof, side porch. Separate utilities. Both properties have updated boilers and electric.